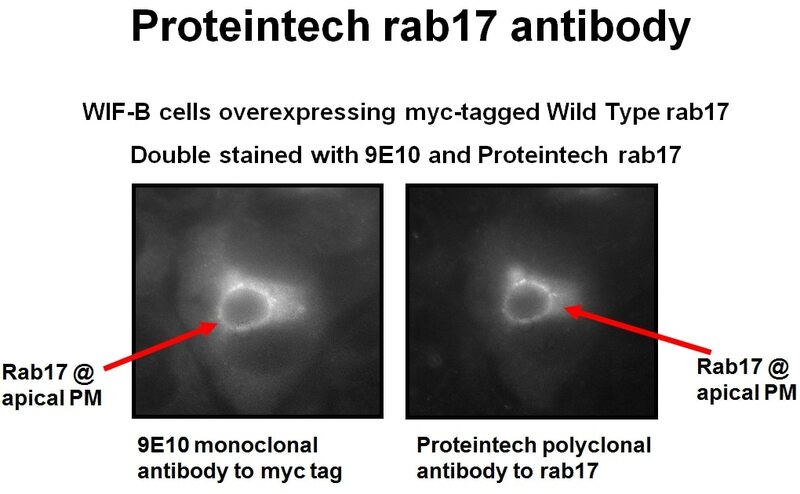 IF result of RAB17 antibody (17501-1-AP) with WIF-B cells overexpressed myc-tagged RAB17 by A.C. Striz and Dr. P.L. Tuma. 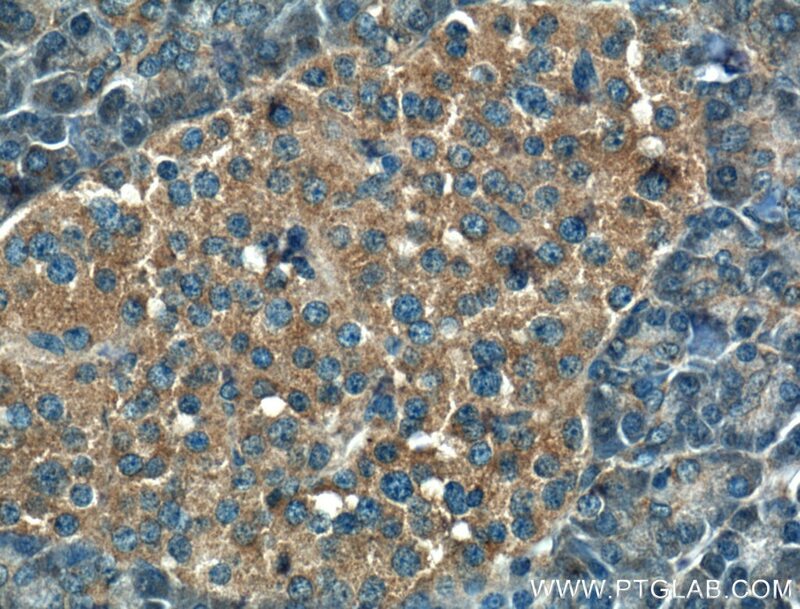 Immunohistochemical analysis of paraffin-embedded human pancreas tissue slide using 17501-1-AP( RAB17 antibody) at dilution of 1:50 (under 10x lens). 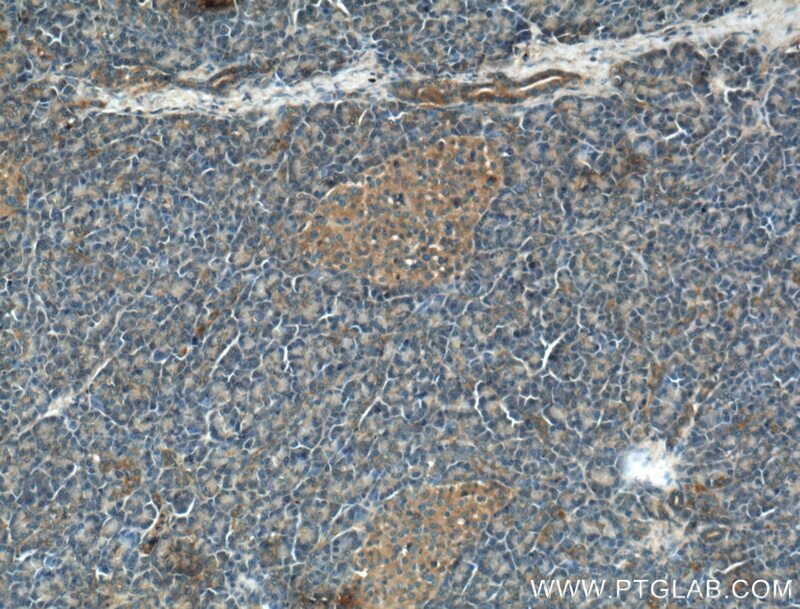 Immunohistochemical analysis of paraffin-embedded human pancreas tissue slide using 17501-1-AP( RAB17 antibody) at dilution of 1:50 (under 40x lens). Rab17 mediates differential antigen sorting following efferocytosis and phagocytosis. Rab17 Regulates apical delivery of hepatic transcytotic vesicles.